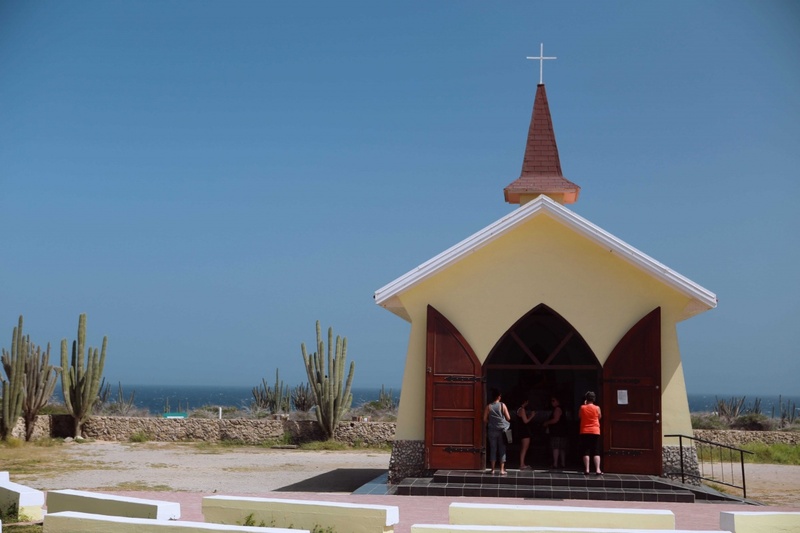 The original church was constructed in 1750 by Caquetio natives and the Spanish though the island did not have a priest yet. 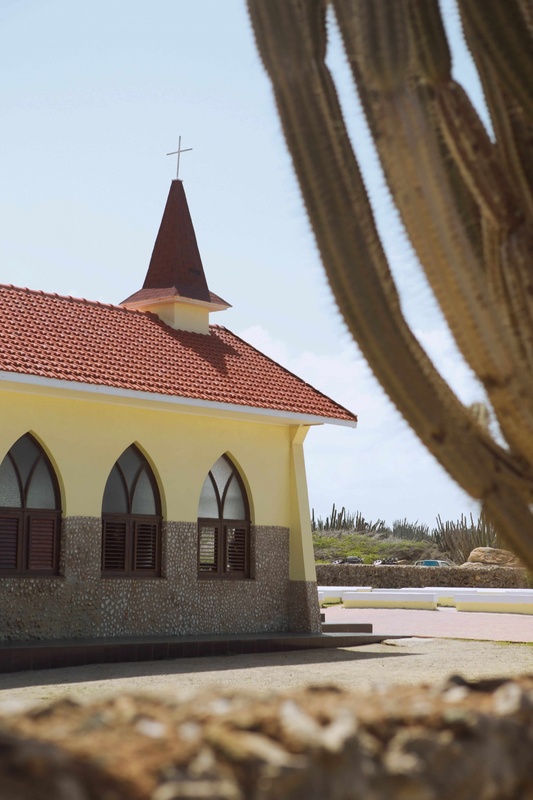 It is said to be the first church to be established in Aruba. 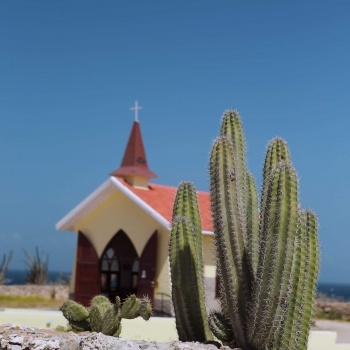 This first church was built with stone walls and a straw roof. 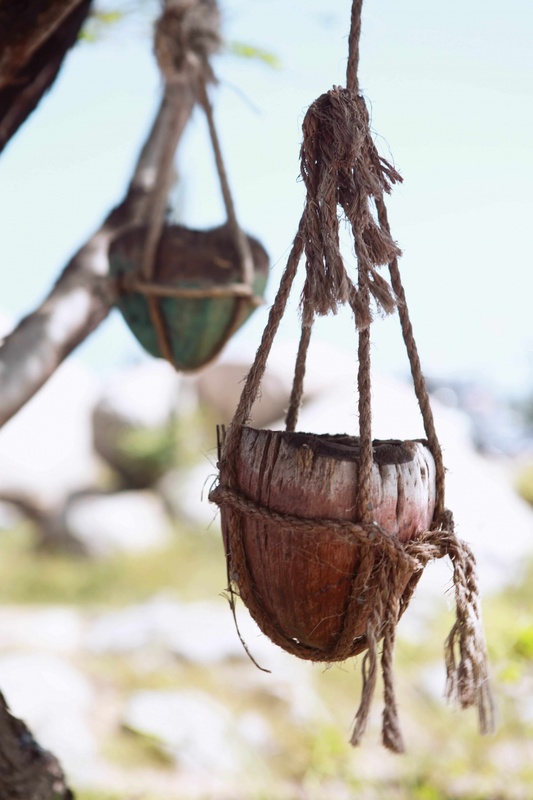 It was dedicated to Mother St. Mary, the “Mother of the Rosary” and hence considered exceptional in Aruba. 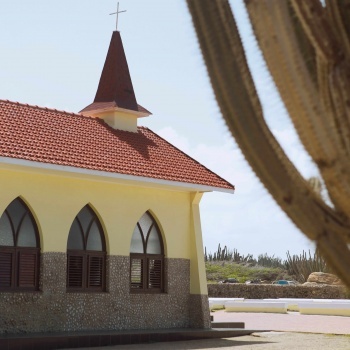 When the tragic plague stuck the island, many of the inhabitants of Alto Vista died and the remaining residents vacated the place and moved to Noord where the second church of Aruba was built. The Alto Vista Church was deserted in 1816 and went into ruins. 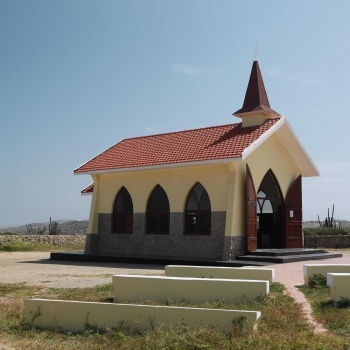 However, a school teacher in Aruba named Francisca, with a lot dedication proceeded to revive the historic church. 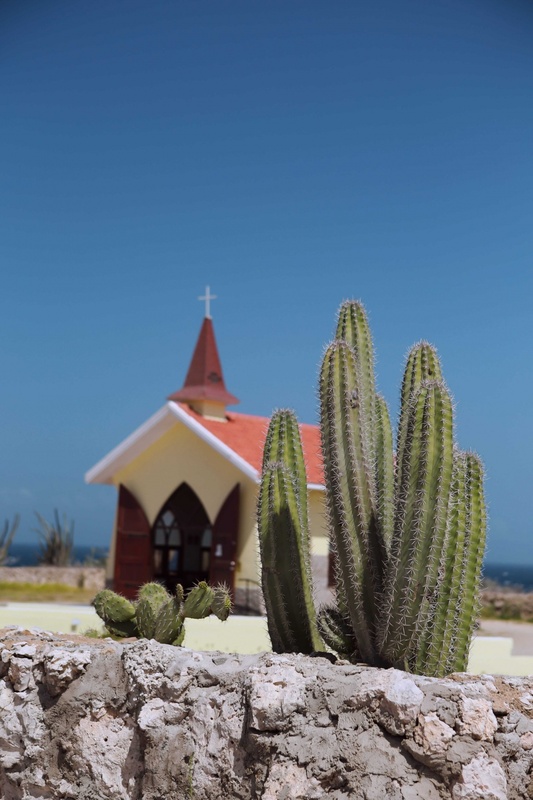 She collected funds of about 5000 Florins from local residents, got a statue of St. Mary’s made in Netherlands and brought it to Alto Vista and installed it at the new church built at the site of the old chapel, between March and May of 1952. The statue was adorned with a golden crown studded with gem stones in 1954 with donations contributed by several Arubans. Unfortunately this statue was vandalized. The statue has since been replaced by a new one. 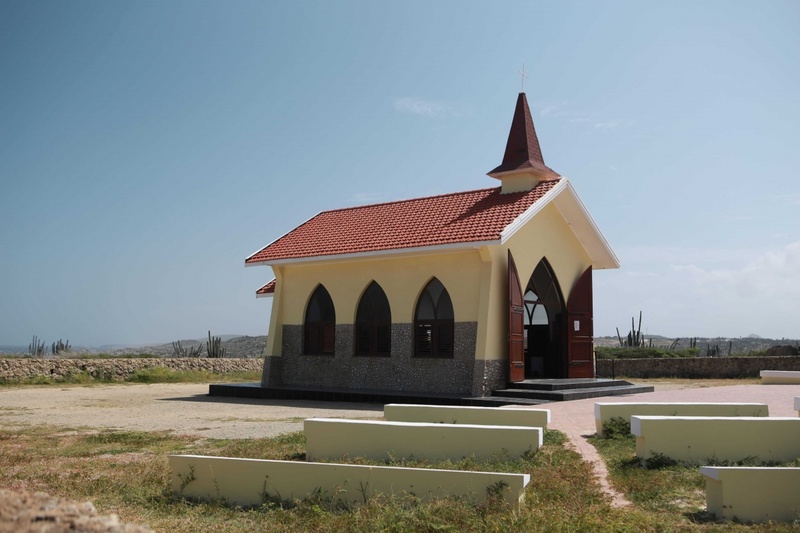 With this chapel, Catholic religion made inroads into Aruba. 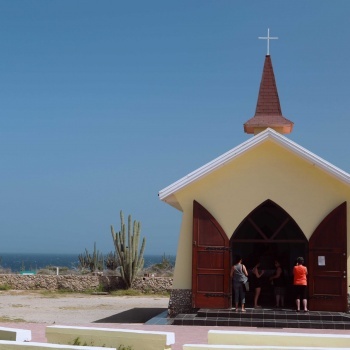 The present day church, rebuilt in 1952, is visited by Christians and non-Christians for meditation. 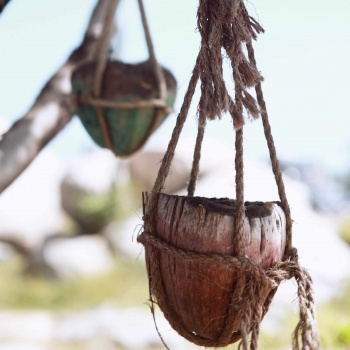 Services are held weekly by the priest from Noord.